2019's Red Bull 3Style World Champion! Born and raised in the San Francisco Bay Area, J. Espinosa began perfecting his craft at the age of 14. At the age of 17, he made his radio DJ debut on Wild 94.9/KYLD San Francisco making him the youngest DJ to hold down a full time mix show at the time. Aside from playing at the hottest nightclubs across the country and holding down the airwaves every weekend on Power 106 LA, J. Espinosa is the Oakland Raiders’ in house DJ. 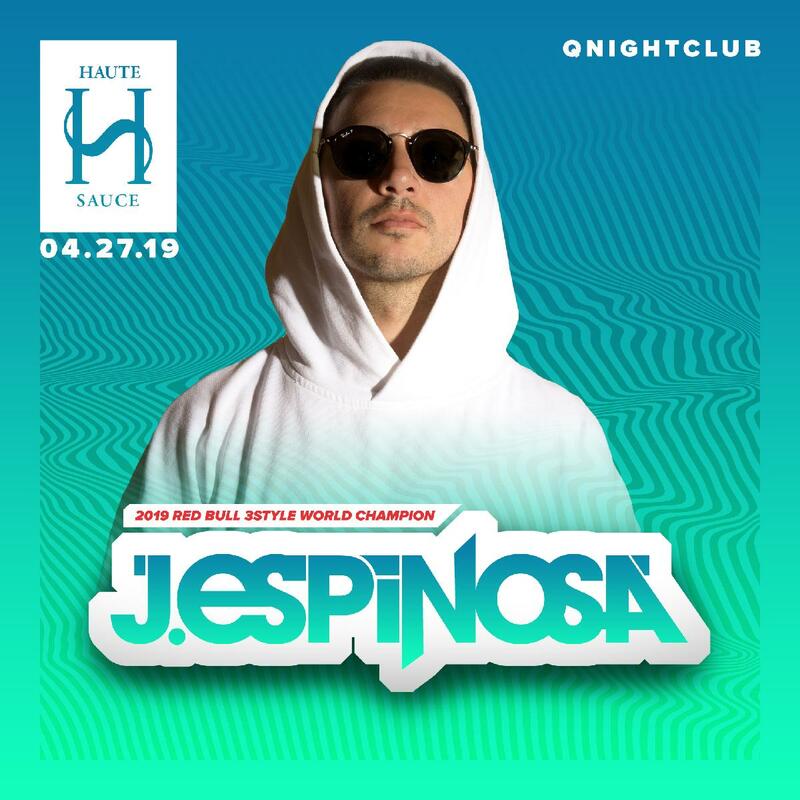 He also holds the title as the 2019, 2018 and 2015 USA Champion in the world’s biggest party rocking DJ competition, Red Bull Thre3style.